This is going to be one of the toughest rounds in the history of BBL Fantasy. If you haven’t prepared, here are a few tips to get you through it. Ladies and gentlemen we have hit a roadblock on the path to the BBL finals. This is going to be one of the toughest rounds in the history of BBL Fantasy. If you haven’t prepared, here are a few tips to get you through it. Peter Handscomb – His non-selection for the ODI squad is our gain. If you’re unhappy with your wicketkeeper, bring him in. Aaron Finch – Finch has hit good form and will probably be a common replacement for one of Lynn, Marsh or Maxwell. Luke Wright – A poor game against the Renegades aside, he has a double game round coming up and has shown good form throughout the tournament. Odds are you’re going to have a few ODI squad players in your team and you should get them out before worrying about the two bye teams this round (Sydney Sixers and Thunder). The players competing in the super important five-game ODI series against Pakistan will not return for the remainder of the BBL which means it’s time to get them out. The Melbourne Stars are the only remaining team with a double game round, so if you can trade for their players, then you’re giving yourself a slight advantage for next week. The final round of the season will be a regular round with no double games and no byes. This means your team is going to have to win on its own merits. Start making sure you’re putting together the XI you want for that final round now. I saw a head-to-head game this round where it was literally Dan Christian and Travis Head versus Brad Hogg and Brad Haddin. No matter how good your team is, if you’re in a head-to-head match with only a couple of players, you’ll be relying more on luck than skill. Maybe look at players that haven’t fired so far in this tournament, but potentially could in these final few games. If you’re looking for a game changer, Daniel Hughes has been the Sydney Sixers’ best player all tournament and is only in 5% of teams… obviously they have a bye this week so wait a round. In such a tough round, you’re really going to have to go with your gut more than anything this week. Aaron Finch: Finch has showed some good form in the last few games and he’ll be coming up against the hapless Hurricanes at Etihad Stadium. Brad Hodge: It’s scary how Hodge continues to perform every season. He’s arguably in the best form of his BBL career. He scored an unbeaten 56 against the Stars last season. Brendon McCullum: The Heat will now be reliant on McCullum to continue their winning ways. Expect the New Zealander to stand up against the Scorchers at the Gabba. Kevin Pietersen: Pietersen continues to get better with every game played, scoring 80 and 105 respectively in the last two rounds. He only scored 22 against the Strikers last year, but Adelaide were a much better team in BBL05. Ben Dunk: Dunk has been a consistent scorer all season, with his lowest score 57. He’s a safe option for this week based on his form. Nice write up Nic! What are your thoughts on Rob Quiney? 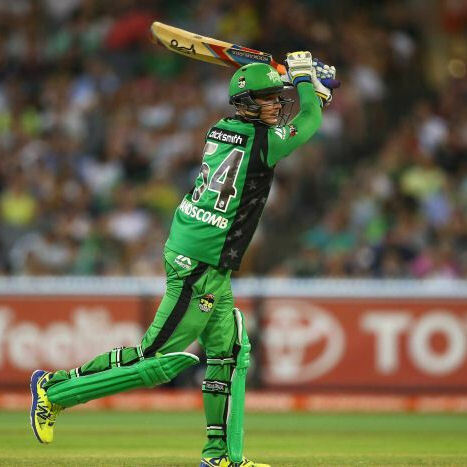 Do you think he will open up for the Stars the rest of the BBL? I just got him in, he’s a great option. is this pre-trades? Cummins and Marsh are going to who? Errr…i just looked at the ODI squad. 10 trades left, $26,00 in the bank. Any chance of Sandhu and Cartwright playing? Thunder and the sixers have the bye this week. Cartwright is a chance. Which two out of Wright, Quiney, Head, Perera. I’m liking the look of uniques Quiney and Perera. isn’t Head in the ODI squad? Missed that. Cheers. Wright or quiney? Why isn’t the whole ODI squad red flagged? Pretty annoying. Are we going to be getting a Round 8 version of this? The number of rounds that have been missed has been very disappointing this season.